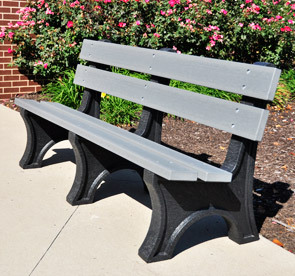 The Colonial recycled plastic bench is at home just about anywhere. 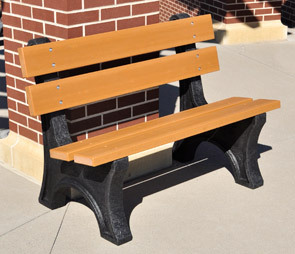 Made with four 2" x 6" Resinwood slats and black recycled plastic bases. The Resinwood recycled plastic material contains a special UV protectant and is available in the color options of cedar, green and gray.